Almost a billion people face a life of extreme poverty if leaders duck key decisions on poverty, inequality and climate change due to be taken at two crucial summits in New York and Paris later this year. New figures show that, if policy decisions are not made, poverty could increase for the first time in a generation. According to new research released by the action/2015 coalition, the number of people living in extreme poverty – on less than $1.25 a day – could be reduced dramatically from 1 billion to 360 million by 2030 if critical policies are set this year and implemented thereafter. This would mean that just 4 % of the global population would live in poverty, compared to 18% today. Even the complete eradication of extreme poverty is possible according to some estimates. However if leaders fail to commit to these policies at the UN Special Summit on Sustainable Development in September and the UN Climate talks in Paris in December, the number of people living in poverty could actually increase from 1 billion now to 1.2 billion by 2030. This increase would be the first in a generation (since 1993) and almost a billion higher (886million) than if resolute action is taken. Alongside Malala, dozens of high profile activists from Queen Rania of Jordan and Bono to Ben Affleck, Bill and Melinda Gates and Mo Ibrahim have backed the coalition of over a thousand organisations in more than 120 countries around the world. The campaign is calling on world leaders to agree plans to eradicate poverty, prevent dangerous climate change and tackle inequality at these summits. action/2015 – announced by Malala when she accepted the Nobel Peace Prize – is one of the biggest campaigns ever to launch – combining environmental, human rights and development organisations and faith networks. From household names like Amnesty International and Save the Children to grassroots NGOs working with local communities, the movement aims to make sure the agreements of 2015 are shaped by the people. In Bolivia, three coordinated rallies in Laz Paz will bring together younger and older people, each one representing one of the core issues of the campaign – climate change, inequality and poverty. In Costa Rica, young people will take to their bicycles to raise the profile of the campaign in a cycle rally which will deliver the message of the campaign to leaders and the public. In India, young people are meeting their leaders in 15 states and over 150 districts to deliver their messages of hope for 2015. 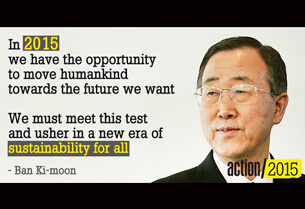 In New York, the Secretary- General of the United Nations Ban Ki- moon will meet a group of 15 year olds to discuss why we need global action in 2015. In Nigeria, 15 year olds will present their hopes for the future to Finance Minister Ngozi Okonjo-Iweala at a live concert. In Norway, a delegation of 15 year old campaigners from across the country will meet with Prime Minister Erna Solberg to challenge her to play her part in the summits and secure a safer future for people and planet in 2015. 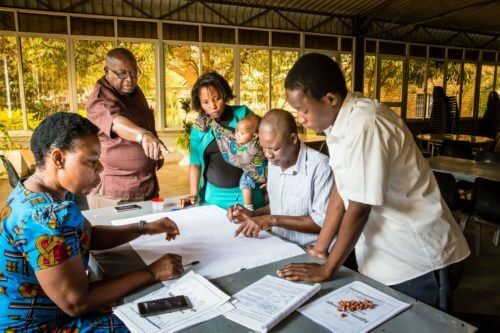 In Tanzania, 15 year olds will meet Vice President Mohamed Gharib Bilal to discuss their aspirations for the future and the action they want from political leaders in 2015. In Uganda young people will challenge the Speaker of Parliament to listen to their demands when they hand over a petition signed by over 10,000 young people. In the UK, some of Britain’s leading youth activists will meet Prime Minister David Cameron and Ed Miliband, the Leader of the Opposition, to urge them to seize the opportunities of 2015. The meeting of fundamental rights, tackling inequality and discrimination. An accelerated transition to 100% renewable energy. A world where everyone can participate and hold their leaders accountable. – Around the world people have taken to the streets in rallies and marches to demand action – including Liberia, Mauritius, Nigeria, Indonesia, Uganda, Belgium, El Salvador, Costa Rica and many more. – Indonesia: a festival will be held with over a thousand young people from over 100 cities turning up to commit their support and action over the coming months. – Bangladesh: A rally of over 1000 bicyclists will carry messages of the campaign to the Bangladesh Parliament before young people form a human chain around the building to make their demand for action in 2015. – Bolivia: Three coordinated rallies will be held in La Paz – each representing one of the core issues the campaign is tackling (climate change, inequality & poverty). – South Africa: In Soweto a group of 15 year olds will gather to urge their leaders to take action. In live broadcasts with well-known celebrities they will speak about their hopes for the future. – Lebanon: A human chain of a ‘15’ will be created in downtown Beirut.